With headquarters in Turkey, Boxpn has been providing VPN services to consumers since 1998. Backed by 58 locations of servers, this service runs on L2tp/PPTP or SSTP protocols and has been one of the leading service providers in the international market by providing maximum security and speed to its customers. The environment of internet access provided by Boxpn is purely private with unblocked websites and a 2048 bit encryption using servers from UK, US and Europe along with unlimited bandwidth. This service provider offers subscriptions on monthly and yearly basis, with the lowest monthly charge of $1.99 only for use with Smartphones and iPad along with security features or other offers. A security added package for a year is available at a reasonable price of $5.83 monthly. Service activation time for the service is quite impressive, while, it also offers trial and money-back offers. Trial offers need user to request by email and take around 24 hours for a response. This service provider combines its services with a 2048bit subscription based on SSTP protocols running on TMG of Microsoft for added security. TMG provides anti-viral, spyware and malware protection to the server by scanning the server on a regular basis. With no collection of user logs, privacy of users is maintained, providing unmatched security service to its customers. Registering for a VPN service with boxpn service providers is a simple and a fast process. The registration returned with a welcome mail within minutes and synchronization with a global network was finished within a time period of half an hour, quite less than the time of 2 hours that they mentioned. Creating a connection to this server is also a simplified process, with a guide that even a non-technical person can follow easily. Boxpn VPN service has a limited compatibility with different operating systems like Mac, Android and Windows. Talking about the speed tests, boxpn provided a triple increase in the upload speed with a negligible increment in the download speed when shifted from a DSL connection to Atlanta of boxpn server. While, working on the satellite ISP provider, the test resulted in a drop of about 75% of the speed while testing on the Hughes Net ISP provider. Boxpn is supported by an amazing 24*7 customer support service through a chat window provided on their website. The representative responds within a minute and has a good knowledge of the products and services. There is an option of contact form for a user to drop a contact request and email addresses of sales and support related professionals to contact in case of any query. The conclusion of the points covered in the review point to the positive impact of this service provider. Boxpn provides high security with 2048 bit encryption along with easy to register and a faster connection setup. Also, these services are provided at very affordable prices and are accompanied with free trial offers and money-back guarantee to allow users to test their service before making a purchase. 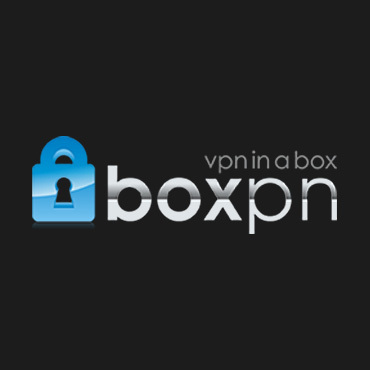 Boxpn VPN Service connection can be established within minutes after following their clear instructions.